Genoa’s Aquarium is Italy’s most famous one thanks to it’s variety of species it hosts and to the excellent manner in which it’s structured. Set on the picturesque old port, it comprises a main building and a number of smaller attractions scattered around the area. 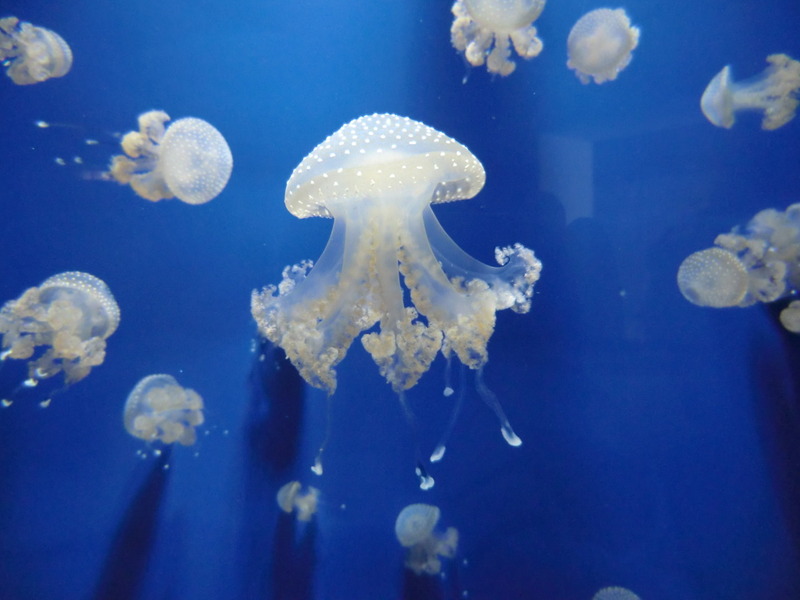 There isn’t a single entrance fee, but you can choose from a number of different paths, which in addition to several options for visiting the aquarium (guided tour, night tour etc..), offer access to different other structures. You can read the different kind of tickets on the site and even buy them online. Although the visit can be interesting for adult people too, the audience consists primarily of elementary students and families with children. The aquarium is very nice and rich: the path includes classics such as dolphins, penguins and jellyfish, but also rare species such as manatees, the reconstruction of various aquatic environments, a section (consisting mainly of models) dedicated to the inhabitants of the sea abysses and two “open” tanks (that of the seals and that of manatees) where you can walk on a footbridge without a glass separating visitors from animals. All this is accompanied by quite exhaustive information plaques. The organization pays a lot of attention to the theme of environmental protection, which is also at the center of the short film, intended primarily for children, you can see at the beginning of the visit. My advice is to arrive in the late morning, so as to be able to see the feeding of dolphins, seals, penguins and manatees, which also includes small exhibitions made by animals to obtain the fish. In this case, however, it is appropriate to make a hearty breakfast, because it is forbidden to consume food within the structure. At the entrance you will be asked to pose for a picture with Splaffy, the mascot of the aquarium which will be available for purchase (at a quite expensive price) in the gadget and souvenir store before the exit. 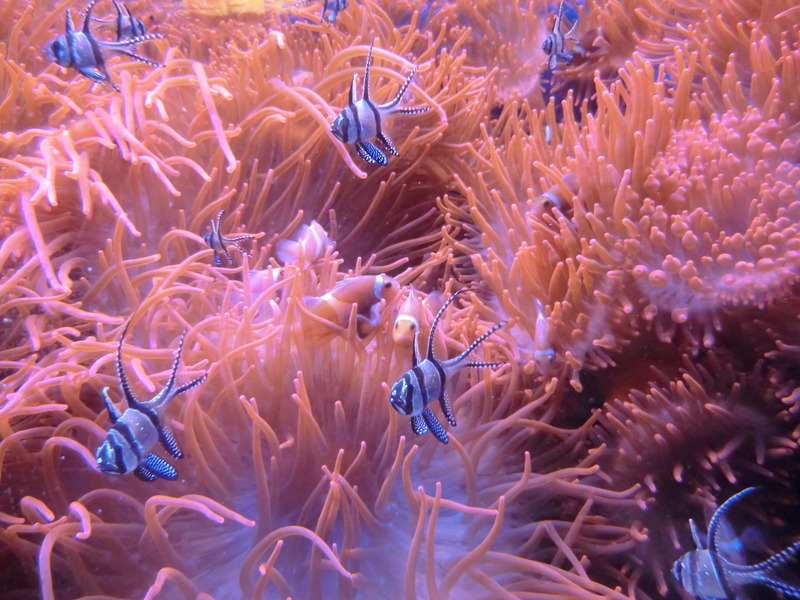 The smaller attractions associated with the aquarium deserve a few words too. 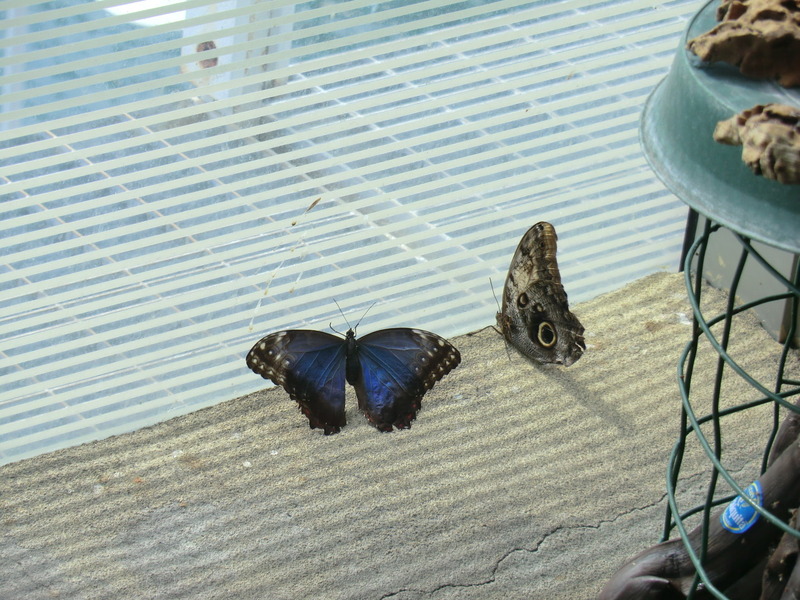 In the tropical garden “Wings flapping”, you can see some colorful tropical butterflies and hummingbirds. The quality of the visit, however, depends greatly on the degree of vivacity of the animals. The attraction is not recommended for babies or particularly agitated children because there is no glass between visitors and animals and visitors are asked to remain silent. It is located along the guided tour of the aquarium, in a separate room. The glass ball built by the famous architect Renzo Piano, located in the old harbor, a short walk from the aquarium, is also interesting. This attraction is called Biosfera (Biosphere) as it contains a piece of tropical ecosystem, consisting of plants, amphibians, reptiles and insects. It is part of a project to raise awareness for the protection of the tropical forests. Instead, the Bigo, the panoramic lift that has become the symbol of the ancient port, isn’t particularly exciting, as it rises only 40 meters, turning slowly to allow visitors to see the main monuments of Genoa. More interesting is its history: it was originally a crane mounted on cargo ships, and it was turned into an elevator by Renzo Piano. Prices: unfortunately the cost of tickets is really high, 23€ for adults and 15€ for children over 3 years old (those under 3 have free admission). The reduced ticket costs 21€. To this you must add the (thankfully much more modest) costs of the attractions not included in the ticket: for example, the entrance to the panoramic elevator of the old port costs 4€, to the Biosfera 5€, to the tropical garden “Wings fluttering” 2€. You can also buy a ticket that includes admission to structures associated with the aquarium such as the Galata Sea Museum, the Museum of the children and the one of Antarctica, getting a discount from the full price of the two tickets. How to get there: the aquarium is situated about ten minutes walk from the railway station of Genova Piazza Principe, and close to metro stations of Darsena and San Giorgio.